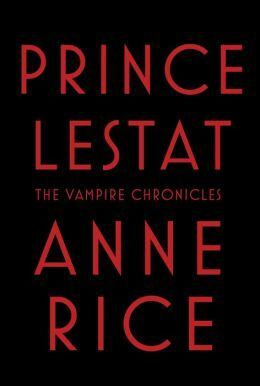 The Vampire Chronicles have always been my favourite among Anne Rice’s books, so I was thrilled when she announced a return to it with Prince Lestat. To be honest, it’s been awhile since I’ve read a Vampire Chronicles book, and while I vaguely remember reading Queen of the Damned (referenced a lot in this book), I remember nothing of the story. So parts of this book did confuse me, but overall, there was just enough backstory provided that I could figure it out. In Prince Lestat, Rice not only re-introduces us to the Brat Prince, she also takes us deep into the very mythology of her vampires. As such, the book feels much larger than the story of its titular character. The story travels through time and among various points of view, and we learn a lot about how vampires came to be and how fragile their existence as a species really is. The story is about the vampire world in crisis — a mysterious Voice speaks to select vampires, commanding them to burn seemingly random groups of vampires around the world. It’s vampire genocide, and no one seems to know why it’s happening or how to stop it. The Voice also contacts Lestat, though appears more interested in conversing with him than in commanding him. Lestat himself is his usual dashing, seductive self, though with a lot more pathos now than usual. I love the scenes with Louie and Armand, mostly because I remember them from Interview with a Vampire, and it was sweet to see how much Lestat still cares for Louie. There are a lot of characters and their flashbacks, and it’s impossible to keep track of all of them, or remember how or if I’d ever known them from a previous book. As a result, I didn’t really care about any individual character, except for Lestat, Louie and Armand. I did become fascinated by the mythology, and by the eventual explanation of what and who the Voice is. I’m not sure how much I liked the resolution, but it did feel right. I remember reading Interview with a Vampire years ago, and being absolutely spellbound by the language and the story. Anne Rice, at her best, is a master of literary seduction. Prince Lestat falls somewhat short of that mark, but it’s a fascinating story nonetheless. This entry was posted in Book Reviews and tagged 50BookPledge2014, Fantasy, Horror, Random House Canada by Jaclyn. Bookmark the permalink.